As families become more sports and fitness oriented, kids nowadays enjoy an active lifestyle in terms of sports and outdoor activities. Every child desires to be trendy and to stay equipped with the latest accessories to help them be the best at the sports they love. The Sun & Sand Sports online store has dedicated categories for kids accessories to ensure that your child gets what he or she deserves. No matter how rough and chilly the weather gets, our selection includes a variety of kids winter scarves and kids gloves online now. The best part about shopping online at Sun & Sand Sports is that you shop for your little ones’ needs from the comfort of your home. Be it anywhere in Saudi Arabia, you can get your kids gloves, scarves and other accessories delivered straight to your doorstep. Our stylish range of performance accessories also includes kids sports gloves that will give your child comfort and flexibility in movement even during the toughest winter. 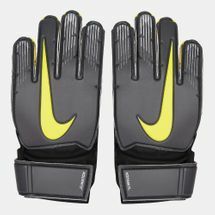 Enhance your little one’s performance on and off the field in the latest technology-equipped kids sports gloves and kids scarves. It is our priority to bring to you the latest, trends and state-of-the art kids accessories that world-renowned sports brands have to offer. From street to track to the filed, we ensure that our selection of scarves and gloves are performing enhancing but trendy and fun at the same time. Browse through our kids category today and shop kids winter scarves and kids gloves online now only at the Sun & Sand Sports online store. To ensure that your kid stays trendy and stand out while achieving their goals, subscribe to our official newsletter and stay updated with the latest in kids’ fashion and fitness.